Pulpit Exchange — A Kind of Ministers’ Musical Chairs? 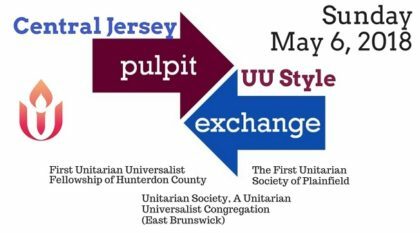 Pulpit exchange has deep roots in our historical polity as Unitarian Universalists, proscribed in the Cambridge Platform of 1648, the document upon which we base our kind of congregational polity (governance) and ground our understanding of a covenantal, rather than creedal, religion. Yet while the historical connection is there in our polity, and even though there was a robust practice of exchanging pulpits in 19th century New England Unitarian churches, as a current practice we are much less familiar with it. another as well. Did you know that the full name of the UUA is actually the Unitarian Universalist Association of Congregations? cultivates a possible wider sense of identity and belonging. beginning path for sharing resources among congregations beyond the pulpit. It’s fair to acknowledge that there are possible drawbacks. minister’s day off; however, in fact, the minister is still working, just elsewhere. It can be vulnerable to expose oneself to comparison — what if one congregation likes the guest minister’s preaching better? What if one minister likes better some aspect of the other congregation? I am looking forward to strengthening the connections between these small mid-size congregations in Central Jersey. I hope you are, too.